Welcome the newest member of the Biobizz family. Bio · pH + was specially developed for organic farming. 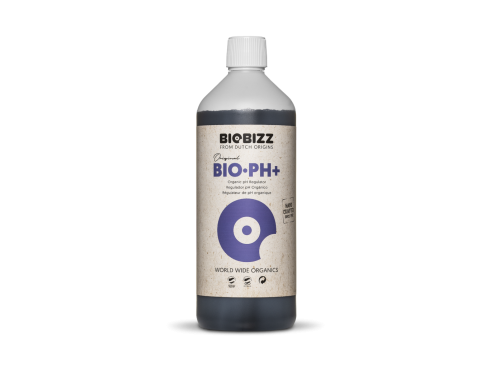 Biobizz Bio · pH + is a humic based formulation derived from natural sources. It is specially designed for breeders who want to keep everything organic in their culture, from seed to harvest. Correcting the pH naturally is essential for plants to absorb the maximum amount of nutrients. The natural formulation of Bio · pH + allows rapid regulation of pH for any type of substrate and crop species without compromising soil microbial life. It has been designed to work perfectly with the Biobizz nutrients and can be used in any irrigation. Bio · pH + is suitable for both the growing and flowering periods. How is Bio · pH + used? Mix the necessary Biobizz nutrients and measure the pH of the mixture. Add 0.1 ml Bio · pH + to increase the pH by 0.1 points. Add the required amount of Bio · pH +, stir for 10 seconds and measure the pH again. Add Bio · pH + until the optimal pH range of 6.2-6.5 is reached, and the nutrient mixture can be added to the plants. Why Bio · pH +? 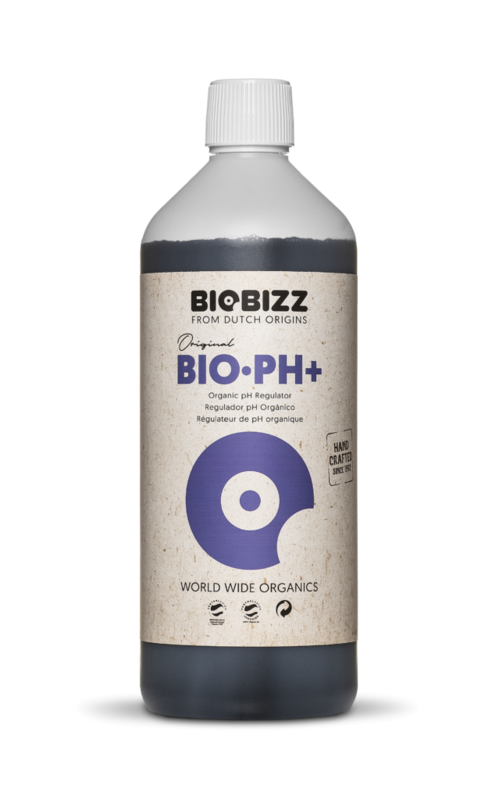 Bio · pH + can be used both during the growing and flowering periods, in any irrigation, and in combination with any Biobizz substrate or liquid product. Bio · pH + contains no strong acids. This means that this 100% biological pH regulator does not affect the micro-life in the substrate. So your culture stays organic, from seed to harvest!